Want to help others and grow the game? We need you! If you are enjoying being involved in rugby and want to get more involved, or if you know of somebody who does, then we hope that you will think about getting involved at a county or Eastern Counties level. We are always on the lookout for new volunteers – so even if none of the specific roles advertised below appeals – why not send us a note letting us know a bit about what you’d like to do and some sense of what your background is – don’t need a full CV, but a sense of what you would be bringing to the table would be fantastic. Send it to loverugby@ecrurugby.com – and we will take it from there. This year we have some specific roles we are looking to fill – some for our AGM on 1 June, some for next season, but no need to wait if you are interested in letting us know. There are also roles available at the three county unions and those are listed below as well. As above, send expressions of interest to loverugby@ecrurugby.com and we’ll be in touch! 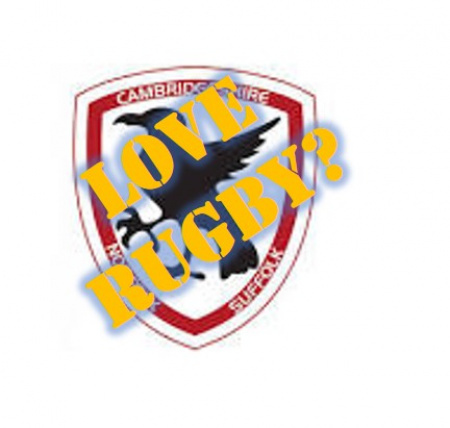 Rugby Safe Manager The purpose of this role is to make the playing of rugby within the CB as safe as possible whilst ensuring player welfare standards are maintained at all times. Chair of Club Development Our current Chair, John Winders, will become President of Eastern Counties at the AGM and we need to identify someone to take over this crucial role – which involves close liaison with the three counties and with the RFU team to support clubs in developing their organisation and facilities. A full handover will be provided and the new chair will benefit from John’s considerable expertise in the role. Chair of Volunteering The Volunteer Co-ordinators support clubs develop their volunteer base – more volunteers, better recognised, better supported. Working with volunteer co-ordinators in each of the three counties the Chair of Volunteering will work within the Club Development Committee. Chair of Funding and Facilities Also working within the Club Development Committee, the Funding and Facilities chair will work closely with the RFU and counties to ensure that the support available to clubs is well spent and appropriately targeted. Chair of Coaching Committee This post is currently occupied by Chris Capps-Jenner our Director of Representative Rugby and he is looking to step down to focus on the larger role. Working with the County Coaching Co-ordinators and the RFU professional team, the Coaching Committee’s role is to promote coach development across Eastern Counties – and to organise the highly successful annual coaching conference each summer. Assistant Treasurer To support the Hon. Treasurer, the Finance Committee and the Management Committee – particularly in the process of monitoring financial performance and the delivery of our action plan. There is no specific job description for this role – the precise responsibilities will be discussed with candidates by the Hon. Treasurer to suit their skills and experience. The job description for the Hon Treasurer is listed below to give an idea of the kind of tasks involved. Role Where? What do they do? Sponsorship Co-ordinators Cambridgeshire Suffolk Work with our Eastern Counties Sponsorship Co-ordinator, David Taylor – identifying opportunities in those areas to get sponsors on board. Volunteer Co-ordinators Cambridgeshire Norfolk Suffolk All three counties are looking for someone to take the lead in this area: supporting clubs to support and recruit volunteers and working with the Chair of Volunteering at Eastern Counties to ensure that no stone is left unturned to ensure that this vital resource is recognised and developed. Coaching Co-ordinator Cambridgeshire Work as part of the EC Coaching Committee to promote coach development in Cambridgeshire clubs. You will be expected to develop a knowledge of what clubs have in place and development needs across the county – promoting courses and development opportunities as they are programmed. Links to fuller job descriptions for each of these roles are listed below – if you want to know more, drop an email to loverugby@ecrurugby.com and somebody will get back to you. Eastern Counties and the three counties run representative programmes at adult and age grade levels for both male and female players. All these programmes require coaching teams which are put together by our Director of Representative Rugby. If you are coaching at a club or have experience of coaching in any environment – and would be interested in joining one of our teams then please let Chris know at the email above. If possible please complete the Coaching CV form which can be found below. Want to help – but not sure how? At Eastern Counties, we aim to improve the rugby experience for all involved in the game in our three counties – and to do that we have a continuous need to bring a wider range of people into our work – if you want to contribute then please put yourself forward. If you are not sure if any of the above are exact fits for what you want or are able to do – then let us know what you can do, and we’ll take a look at where you might fit in.